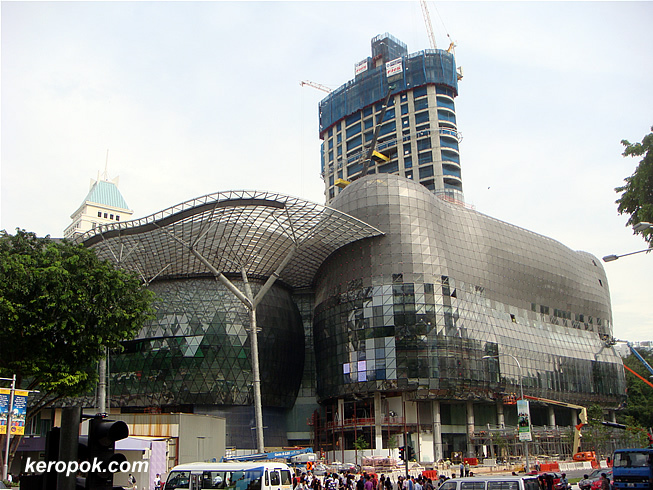 'Boring' Singapore City Photo: ION Orchard.. yes, eyes are on it.. The name's ION Orchard. Someone said it's to be read as Eye On Orchard. Everyone's eyes are now on it. Everyone's waiting for it to finish, so that we can all go in and see what's inside! Very unusual architecture. It should look fantastic at night! glass exterior sure fits the theme of window shopping! Interesting architecture. I like it. I wonder what it looks inside. Will you post some insights? ya ya! windows shopping indeed. haha... with all the expensive brands inside, I think many people will only be window shopping.